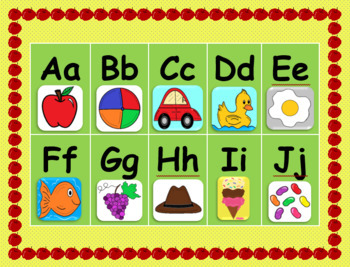 Here is another alphabet poster I put together for you and your little ones. 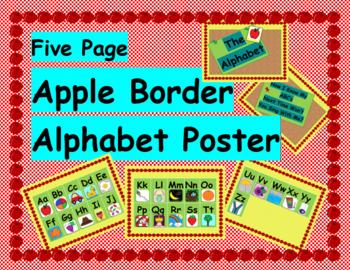 It's super cute and colorful, and would look great in any home, or classroom. It would even be cute in your child's bedroom! The clip art as always is original, and this poster prints out on five full horizontal pages. 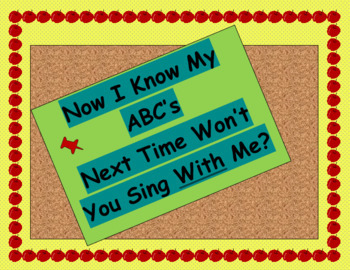 This would be a breeze to laminate and hang on the wall, or you could slip these pages into page protectors and stick them in a binder! 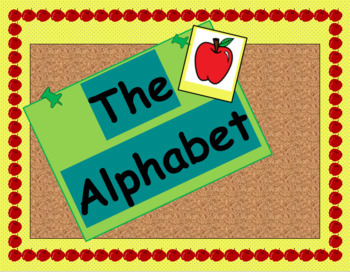 I hope you and your kiddos can enjoy this alphabet poster together! Thank you!